African governments have a low tax base and therefore limited power to provide ICT infrastructure especially on areas addressing healthcare. Could it be time for the private sector to offer tech solutions in the health realm? 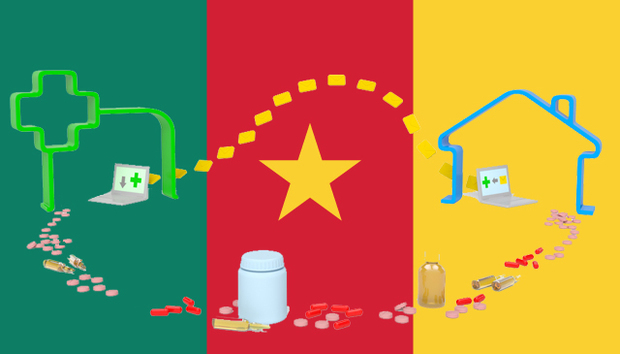 One startup, digitalMedLab has been established in Cameroon to meet this end. Founded in 2012 in Zürich, Switzerland by Cameroonian physician Dr. Patricia Sigam and Australian developer Andreas Lorenz this is set to facilitate African telemedicine, eHealth and mHealth. And it is not just useful for the African context but should have universal appeal. +WoundDesk is a mobile app designed for wound management. It captures patient’s health records and conducts semi-automatic wound management processes. It has a decision support system mechanism that incorporates alerts and notifications. And is already in use in a French nursing home in France and a rural hospital in Cameroon. With this app, doctors are able to exchange data with colleagues in a secure and confidential environment. The app has the capacity to reduce the number of wound patients that need to travel for these services. The founders decided to focus on wound management, as a critical issue in both African and European countries. But as many health practices across Africa are far from optimal, the app also offers numerous additional benefits. The most pressing of these is that the majority of patients in Cameroon do not have medical records. This means many hospitals and dispensaries sell a miniature notebook (sometimes called “card”) to the patient. However, this is costly for poverty stricken patients and often lost before the next visit. To counteract this, the app providers combine a patient health records with a mobile app. But is this possible in a context that “boasts” of abject poverty and illiteracy and without many smart technologies? Yes “this product is only for trained health professionals.” And because of this “the data collected is also a key to the health institutions to understand the health situation of the community they are taking care of”. Telemedicine is defined by The American Telemedicine Association as “the use of medical information exchanged from one site to another via electronic communications for the health and education of the patient or healthcare provider and for the purpose of patient care”. It therefore includes the use of ICT to provide health solutions that encompass eHealth and recently mHealth. These processes are both asynchronous (stored), and synchronous (real-time). In the case of asynchronous, health data is gathered and electronically sent through encrypted email and uploaded to a secure website where another doctor gives a second opinion or diagnosis at a later point. Synchronous is both live and interactive with the use of videoconference, video-otoscopes and electronic stethoscopes as peripheral devices. Home monitoring is a recent tech intervention that in its ideal practice combines the two types of telemedicine with smart technologies such as phones and physiological surveillance tools as remote peripherals. This is the basis upon which digitalMedLab is founded. In rural Africa, which houses the poorest of the poor, access to telemedicine has been inconceivable for a long time. Quite apart from ICT infrastructural and connectivity issues, both healthcare providers and patients have been in the dark about telemedicine. In line with this vision, more healthcare products are in the offing with more apps that incorporate mobile and web-based technology. “We just finished the first mobile solution [+WoundDesk], so we will keep you updated in six months and one year [about where we go next]”, the doctor concludes.